Join us for Movie Night on Wednesday, December 12, 2018, from 6:00-8:00pm. We will be showing a recent blockbuster based on the book, Crazy Rich Asians, by Kevin Kwan. The film stars Constance Wu, Henry Golding, Awkwafina, Ken Jeong, and Michelle Yeoh. 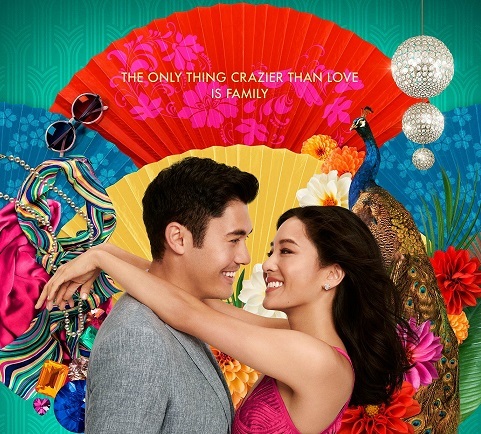 TIME Magazine writes, “It’s simply great fun, a winsome romantic comedy and an occasionally over-the-top luxury fantasy that never flags.” Richard Roeper writes, “Crazy Rich Asians…is pure escapist fantasy fun.” Rotten Tomatoes gives the film a 92% approval rating.